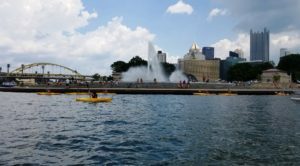 The person who probably did more to restore and revitalize Pittsburgh, Pennsylvania was someone who had never lived there: Rachel Carson. Many other formerly-blighted heavy industrial cities in America can say the same. Little wonder they renamed their historic 1926 Ninth Street Bridge after her. And now, that bridge is itself being restored and revitalized. 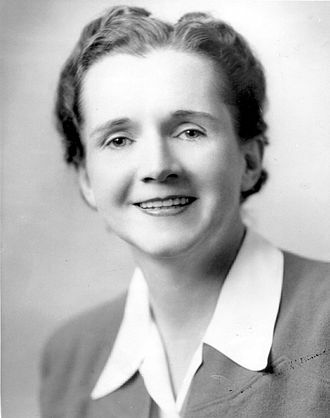 1940 photo of Rachel Carson courtesy of the U.S. Fish and Wildlife Service. Rachel Louise Carson was born May 27, 1907, and dies on April 14, 1964. She was a marine biologist, an author, and a conservationist whose groundbreaking book, Silent Spring, and other writings are credited with greatly advancing the global environmental movement. Carson began her career as an aquatic biologist in the U.S. Bureau of Fisheries, and became a full-time nature writer in the 1950s. Her widely praised 1951 bestseller The Sea Around Us won her a U.S. National Book Award, recognition as a gifted writer, and financial security. Her next book, The Edge of the Sea, and the reissued version of her first book, Under the Sea Wind, were also bestsellers. This sea trilogy explores the whole of ocean life from the shores to the depths. Late in the 1950s, Carson turned her attention to conservation, especially some problems that she believed were caused by synthetic pesticides. The result was the 1962 book, Silent Spring, which brought environmental awareness to an unprecedented share of the American people. Although Silent Spring was met with fierce opposition by chemical companies and the politicians they owned, it spurred a reversal in national pesticide policy, which led to a nationwide ban on DDT and other pesticides. The restoration of the bald eagle, osprey and other endangered birds—especially raptors—was a direct result. Silent Spring also inspired a grassroots environmental movement that led to the creation of the U.S. Environmental Protection Agency. Carson was posthumously awarded the Presidential Medal of Freedom by U.S. President Jimmy Carter. 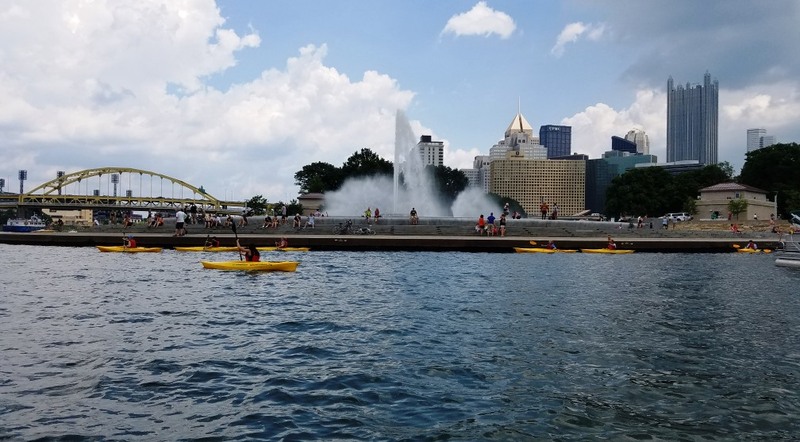 Thanks to the EPA, dozens of major U.S. cities like Pittsburgh and Cleveland now have breathable air and non-flammable rivers, paving the way to economic revitalization. But, back to “her” bridge. On February 11, 2019, the Rachel Carson Bridge closed to vehicle and pedestrian traffic. The closure, which is expected to last through summer of 2020, was required for a $23.3 million rehabilitation project. Pittsburgh’s Point Park in foreground with the “Three Sisters” bridges in the background. The bridge will have a new lane configuration when it reopens. Instead of four lanes of traffic with two lanes in each direction, there will be three lanes of traffic with wider shoulders. When traveling into downtown from the North Shore, one lane will lead onto the bridge and widen out to two lanes at Fort Duquesne Boulevard. Similarly, when traveling from downtown to the North Shore, one lane will lead onto the bridge and then widen into two lanes on the other side. The project is the responsibility of the Pittsburgh Department of Public Works, and will be completed by Brayman Construction as well as Advantage Steel and Construction, both of Saxonburg. The restoration is being done in conjunction with PennDOT and the Federal Highway Administration. The Rachel Carson Bridge was opened in 1926 and is one of the three “Sister Bridges,” the only trio of identical bridges in the world. They were also the first self-anchored suspension bridges in the United States. This is the second rehabilitation project of the three “Sister Bridges,” following the Andy Warhol (Seventh Street) Bridge, which reopened in November 2017. 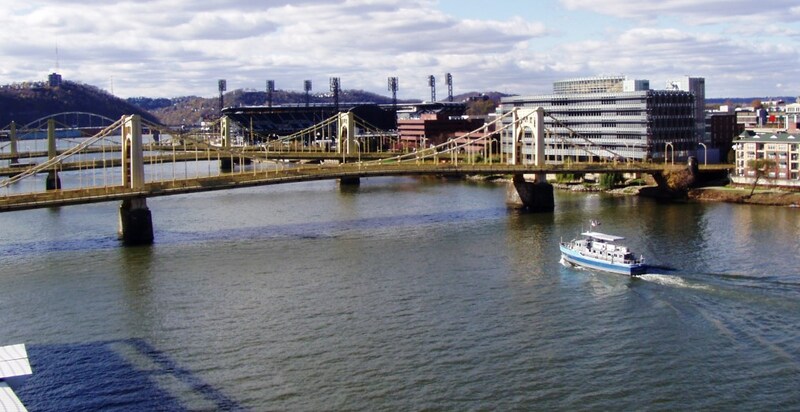 Rehabilitation of the Roberto Clemente (Sixth Street) Bridge is expected to occur between summer 2021 and winter 2022. Featured photo of the Rachel Carson Bridge is by Scillystuff, via English Wikipedia.